Nicolas Chartier's invitation to the 82nd annual Academy Awards has been rescinded. (CNN) -- The Academy of Motion Picture Arts and Sciences announced Tuesday that "Hurt Locker" producer Nicolas Chartier will not be allowed to attend the March 7 awards show because of an e-mail that has been deemed in violation of the Academy's campaigning standards. "Chartier had recently disseminated an e-mail to certain Academy voters and other film industry figures in which he solicited votes for his own picture and disparaged one of the other contending films," the Academy said in a statement Tuesday evening. 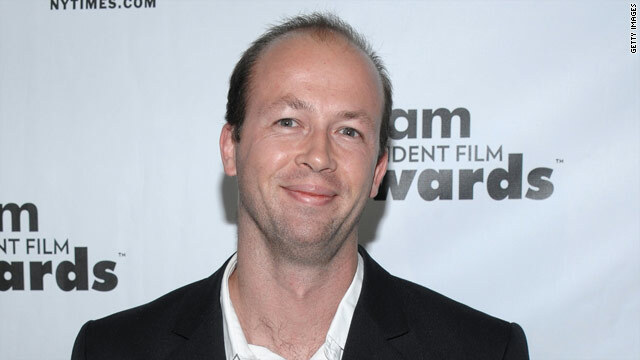 According to the Los Angeles Times, Chartier's e-mail asked the message recipients to spread the word about the Iraq war movie so that the independent feature would win, "and not a $500M film," which many have interpreted as a slight against James Cameron's box-office blockbuster "Avatar." To the Academy, Chartier's appeal to voters and industry insiders crossed the line by "casting a negative or derogatory light on a competing film," which, according to the Academy's statement, is against the organization's rules. Late Monday, the Academy decided that it would rescind only Chartier's invitation, "stopping short" of pulling "The Hurt Locker" out of the running altogether. If the film wins, remaining producers Kathryn Bigelow, Mark Boal and Greg Shapiro will accept the award. Chartier would receive his Oscar statuette later.